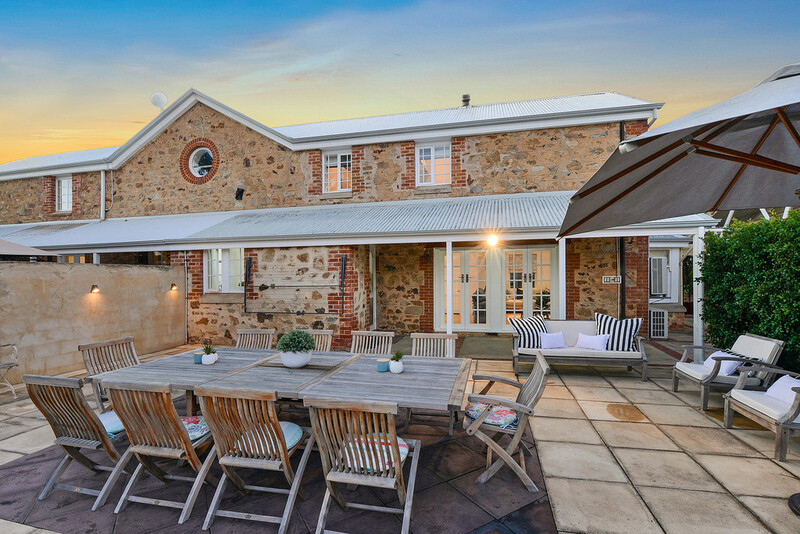 Constructed in approximately 1860, designed by architect Sir Edmund William Wright, this history-steeped freestone building has been transformed into a delightful contemporary family entertainer. 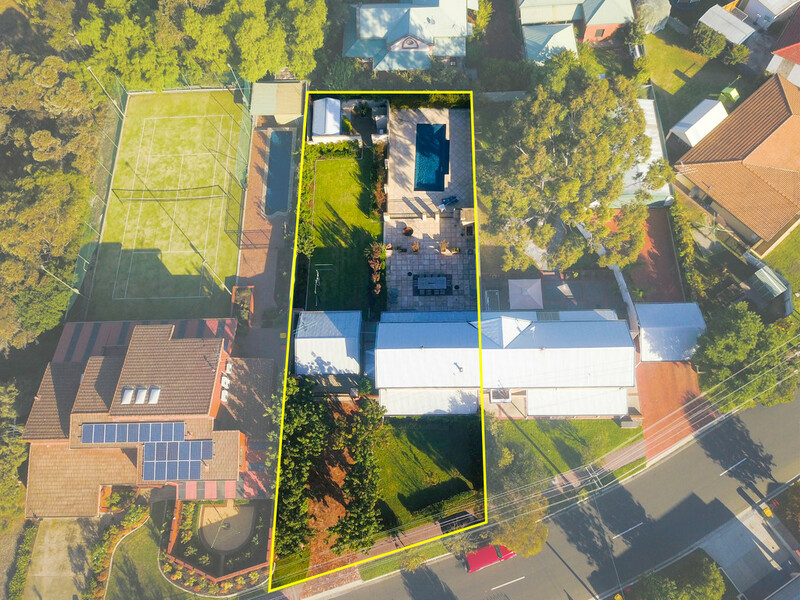 Sited on a massive 969m2 (approx) allotment with swimming pool and extensive manicured garden and terrace areas, the home will appeal to those who enjoy entertaining and outdoor living within the spacious luxury of a large land holding. 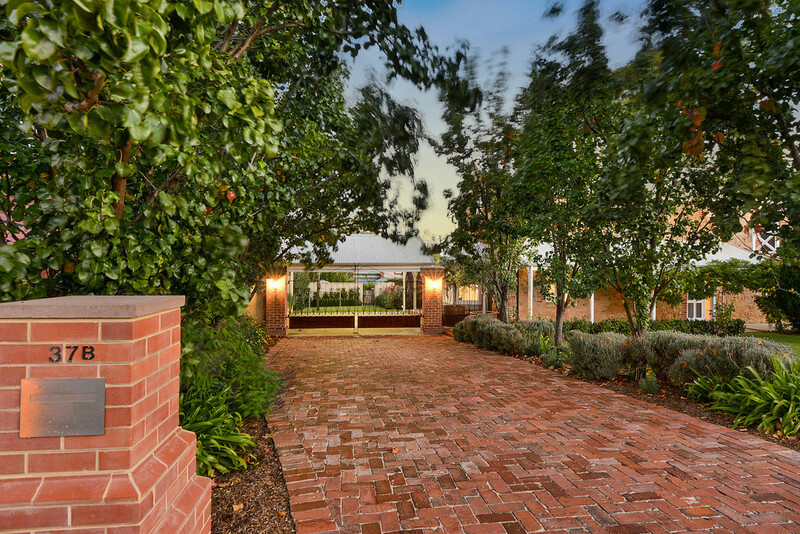 Solid steel heritage gates create an aura of refined opulence that welcomes us as we enter the home. 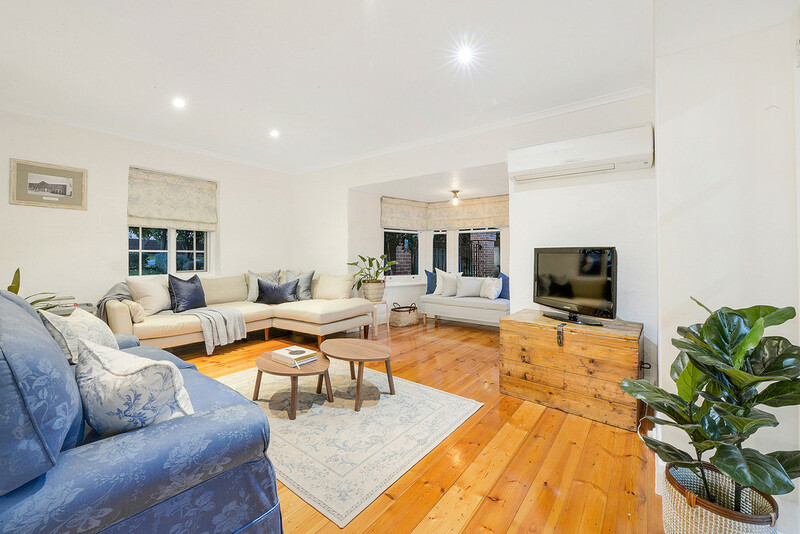 Polished Baltic Pine floors, bay window and French doors combine with quality downlighting and a crisp contemporary colour scheme to create a comfortable open plan ground floor living space. 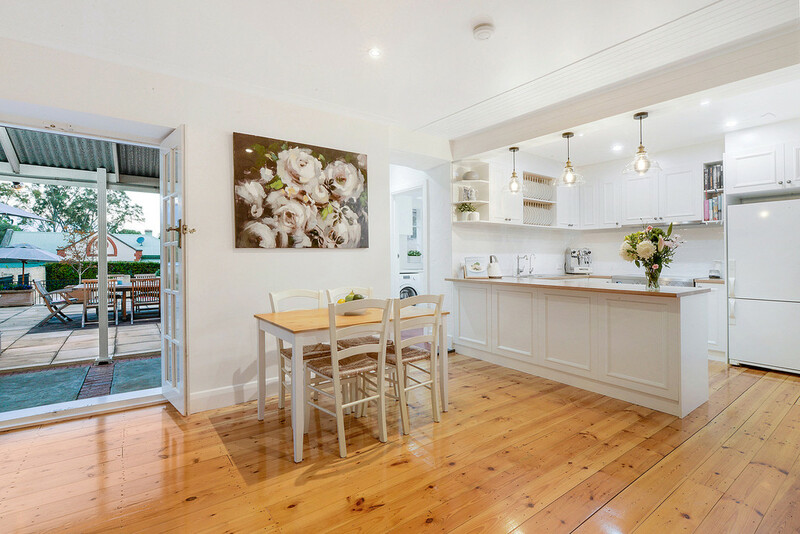 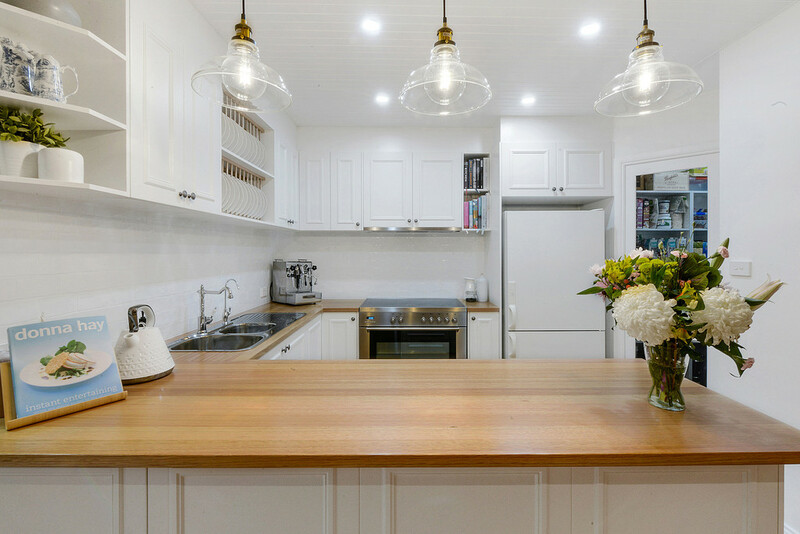 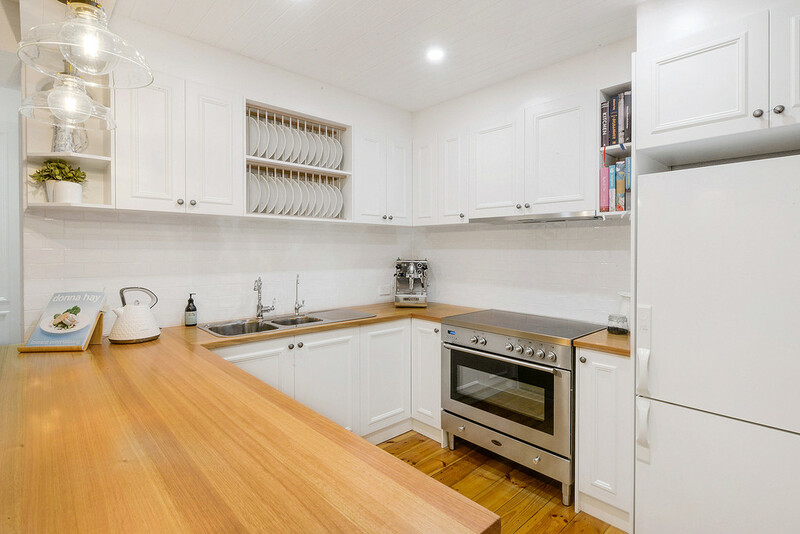 A bright Hampton’ style kitchen offering stainless steel appliances, Tasmanian Oak benchtops, open plate holders, subway tiled splashbacks, walk-in pantry, breakfast bar and feature pendant lighting. 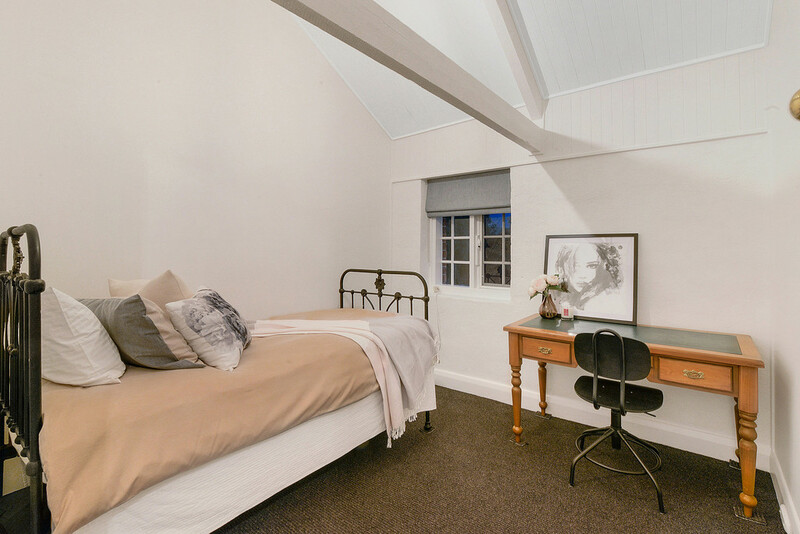 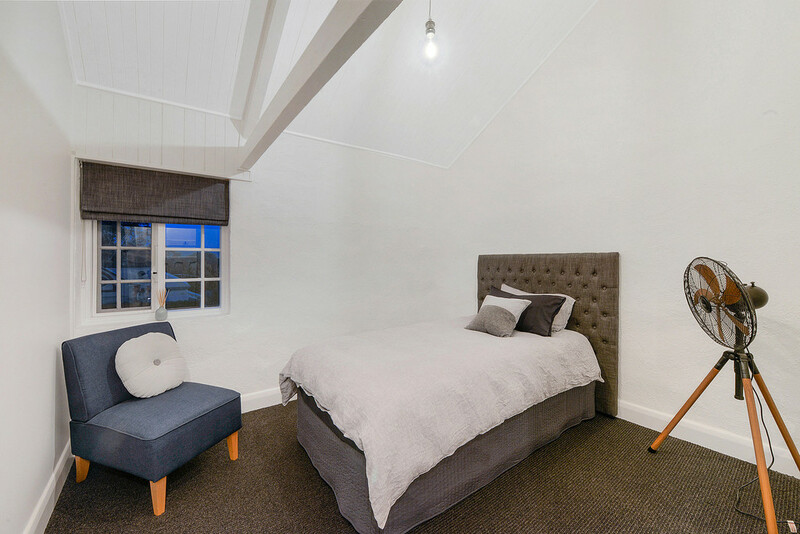 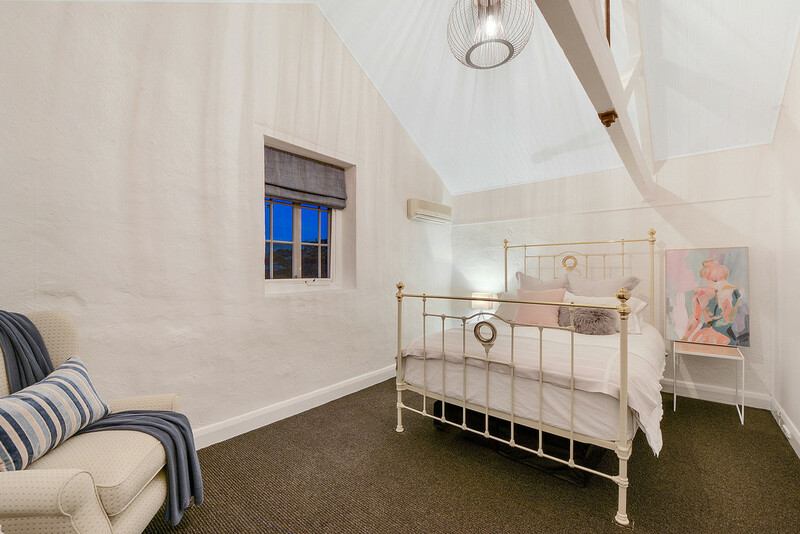 Upstairs boasts 3 bedrooms moulded within the original framework of the building, where exposed timber roof trusses offer a glimpse of a by-gone era while crisp contemporary carpets and colour scheme add the modern edge. 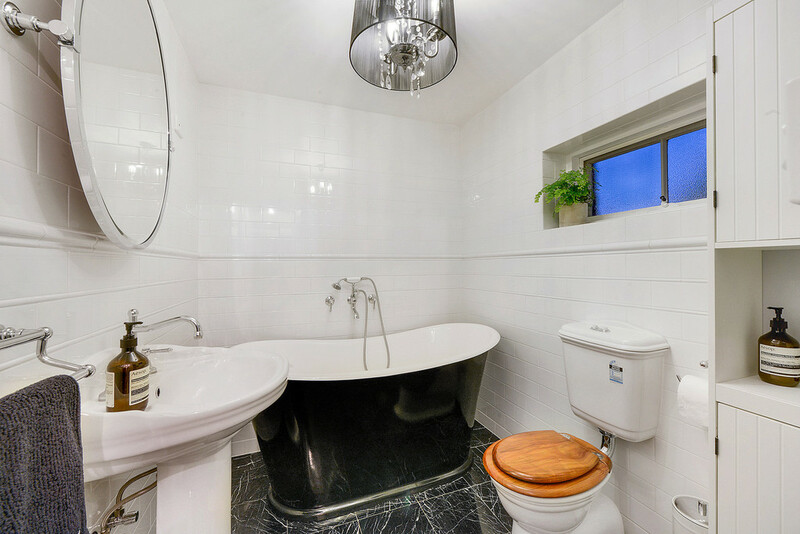 A fabulous bathroom provides luxurious amenities with black marble tiled floors, floor to ceiling subway tiled walls, French tub and quality tapware. 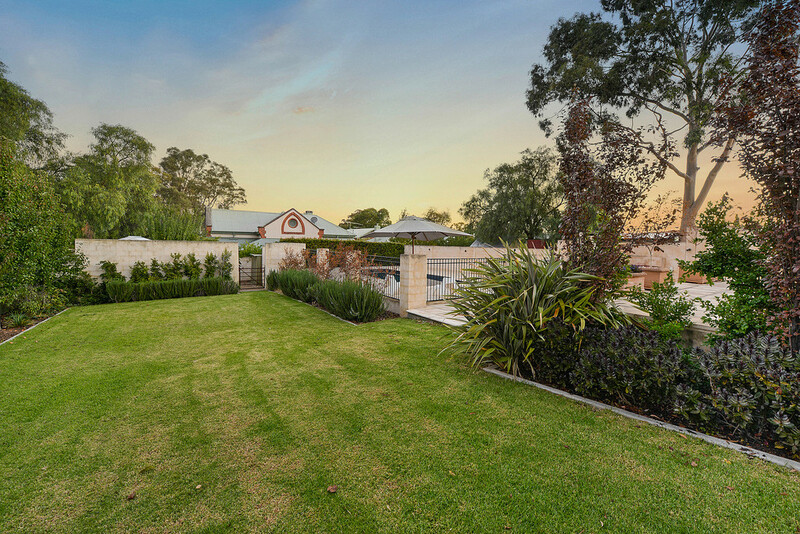 Prepare yourself for summer fun and outdoor living at its finest with a fully landscaped allotment boasting manicured lawns and garden beds. 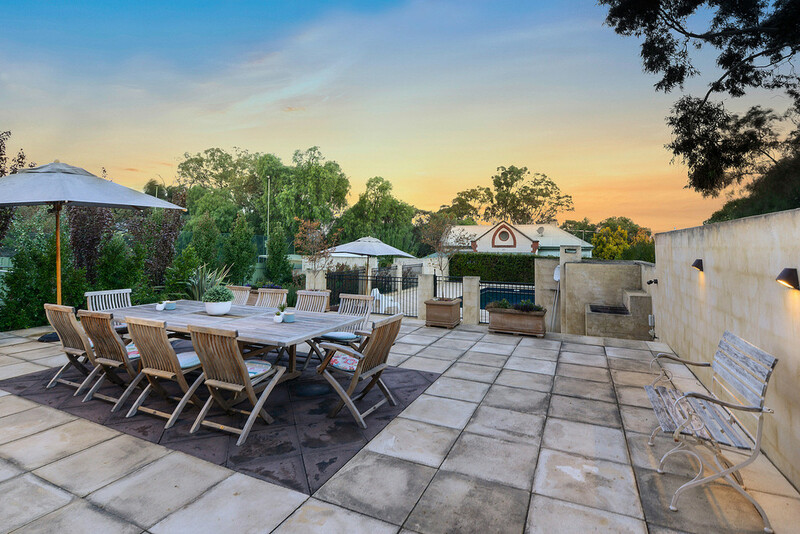 Two paved terrace areas will cater for the largest of gatherings, serviced by a built-in wood oven and your very own charcoal grill. 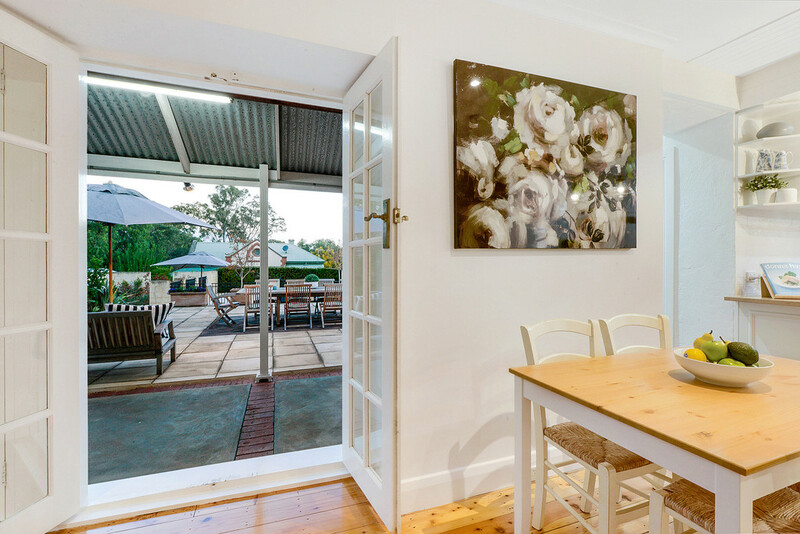 Cook up a feast while your guests relax in the heated and salt chlorinated in-ground pool or recline on the adjacent paved surrounds. 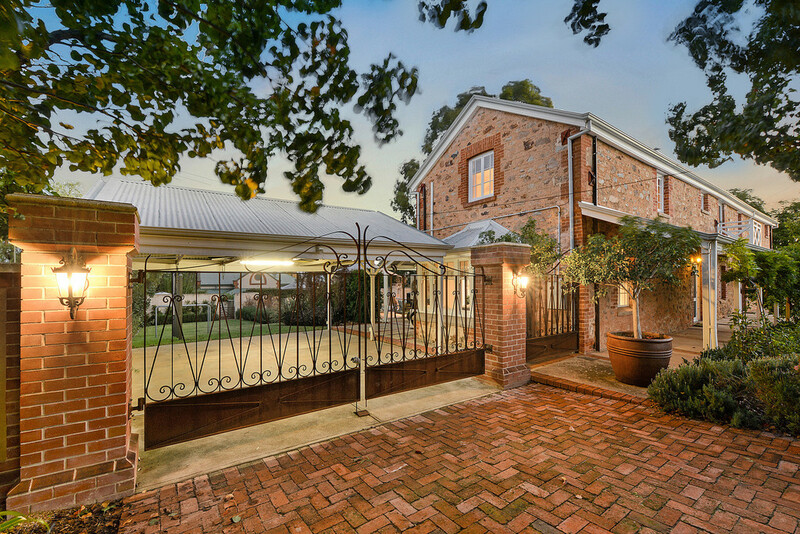 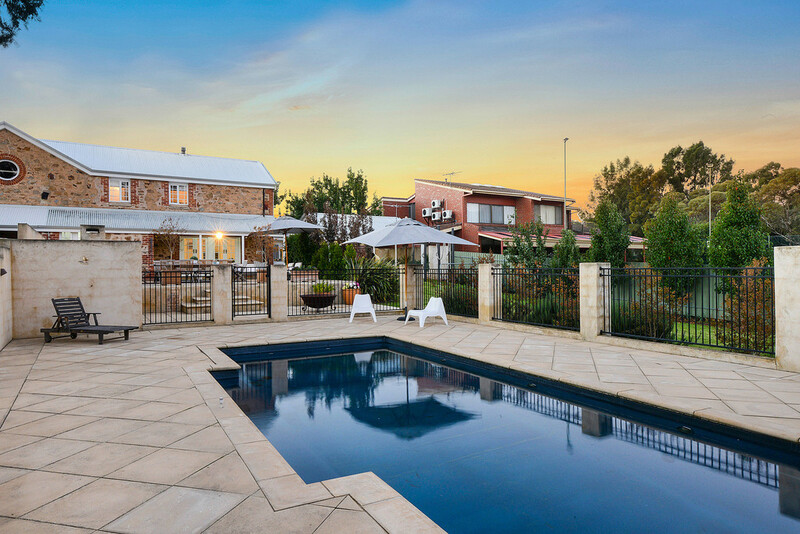 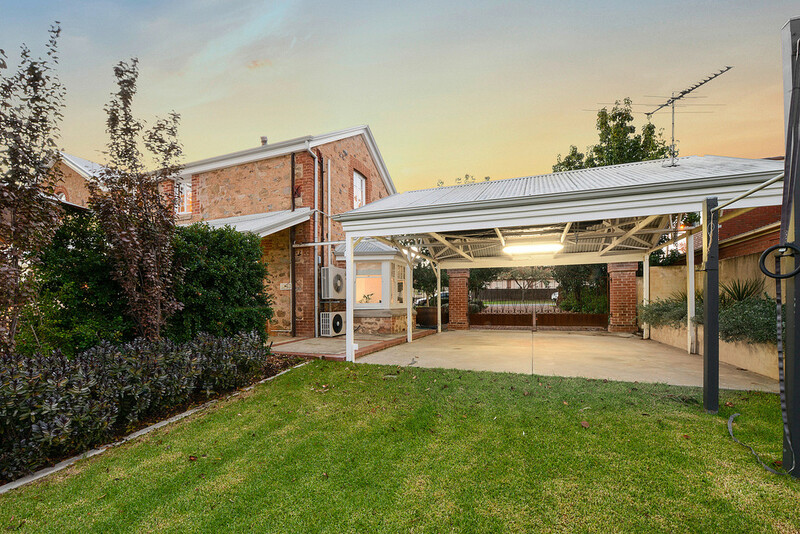 If outdoor living, spacious surrounds, manicured gardens, opulent living areas and family entertainment is high on your list of likes’ then this stunning home will most certainly impress. 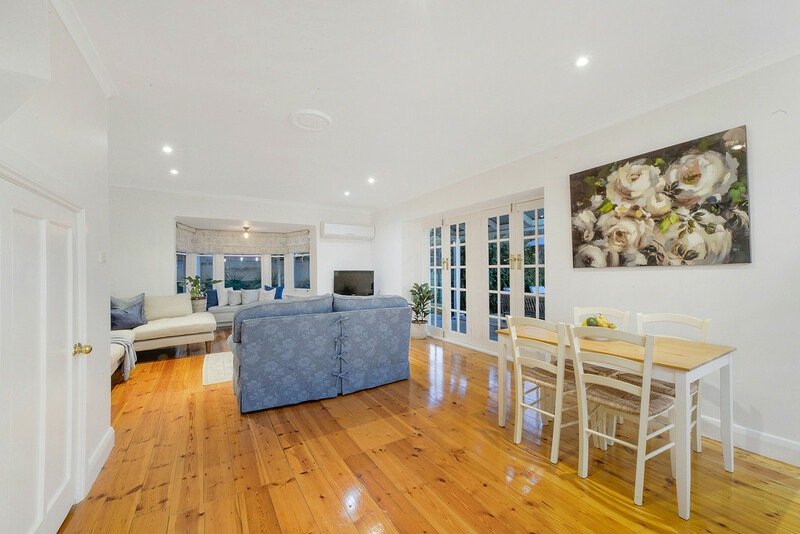 Peacefully located within easy reach of all amenities. 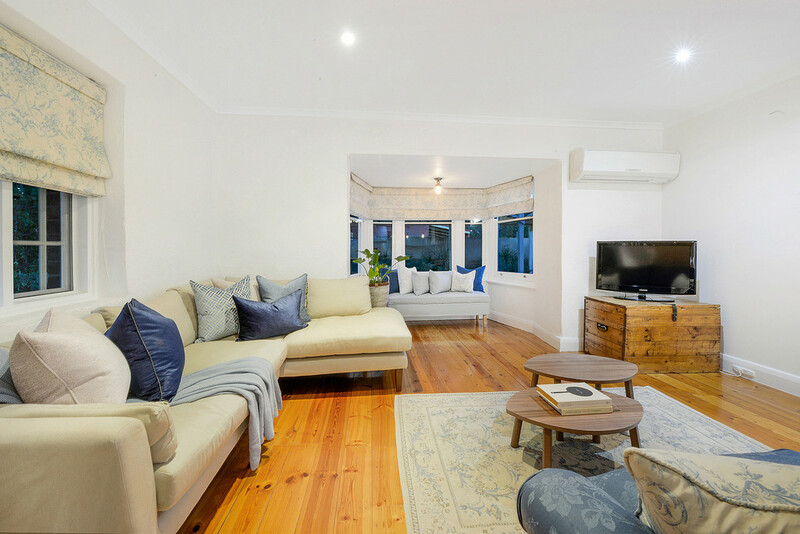 Dernancourt Shopping Centre and major public transport routes are close by on Lower North East Road or choose to shop at Centro Newton Shopping Centre, only a short drive away. 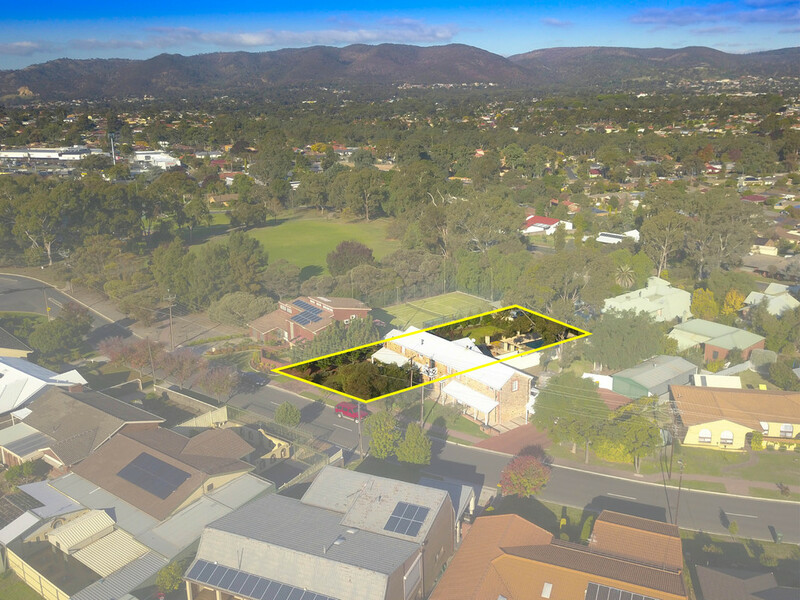 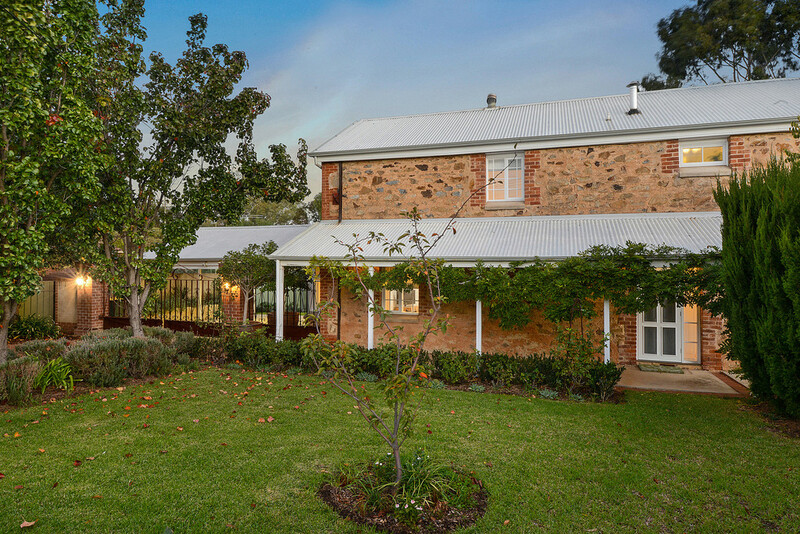 Local schools include Dernancourt Primary and Windsor Gardens Secondary College with Paradise Primary, Charles Campbell College and Athelstone Primary School all within the local area. 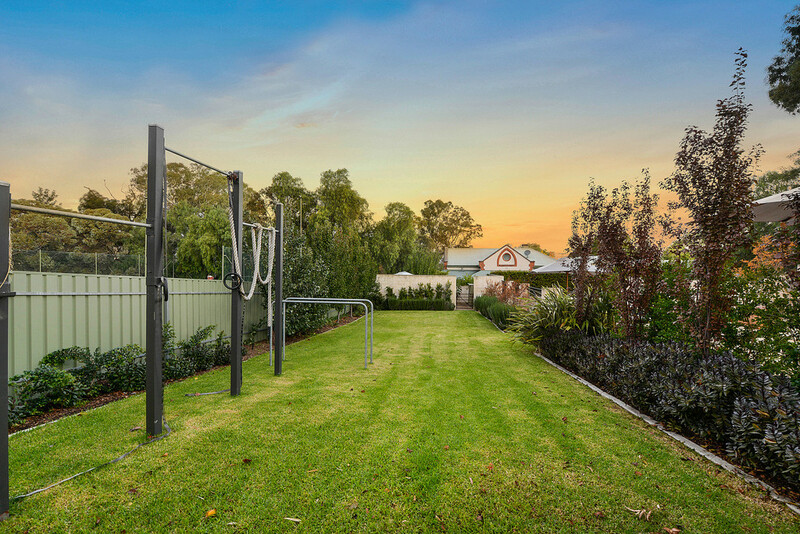 Balmoral Reserve is at your doorstep, offering Parklands, Netball, Tennis, BBQ area and a playground, perfect for your exercise and recreational pursuits, with the River Torrens Linear Park also close by. 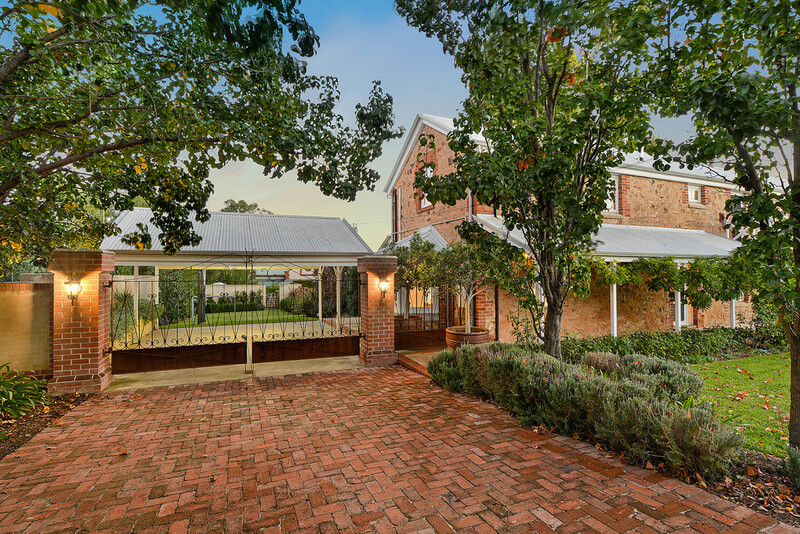 A great opportunity for homebuyers looking for that special place to live, work, play and grow.